« QB FAQ: What Length Should My Paddle Be?? 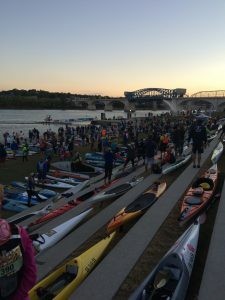 written by Chris, our in house photo/video guy this is a post about the Chattajack race in October. He has completed the 32 mile event four years in a row on a prone board. This year he will be going for his 5th. 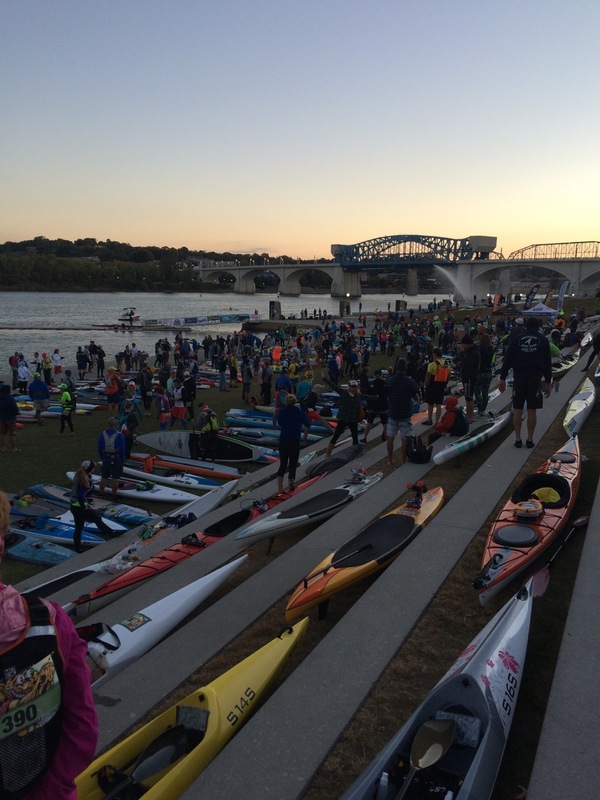 In late October, the annual pilgrimage of all types of water craft will be converging upon Chattanooga, TN for the annual Chattajack. 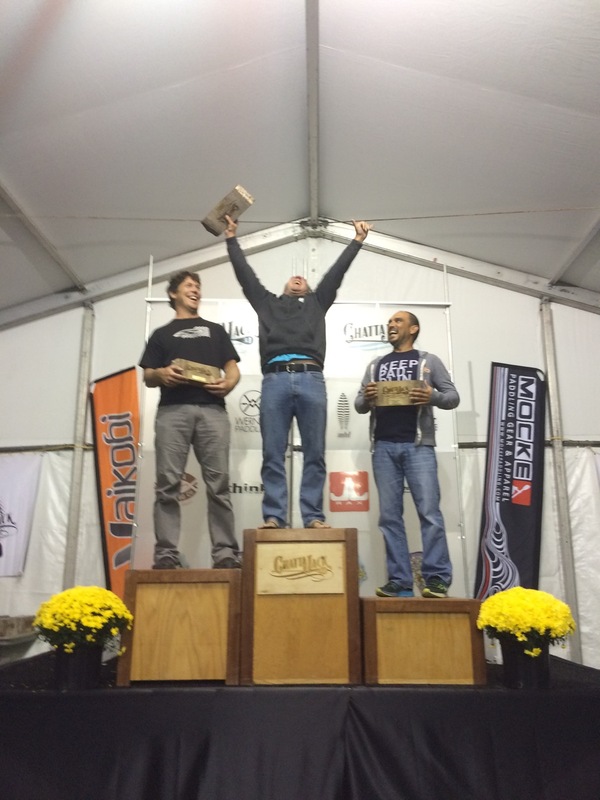 A deceivingly “downriver” race that challenges paddlers for 32 long miles. I have been at this event every year for the last four years, this one will be my fifth. The event has swollen in size from a small group to closing in on 600. To enter, you have to stay up all night, finger on the enter button to get your spot in line. Once it sells out, racers end up on a wait list that now numbers over 200 each year. 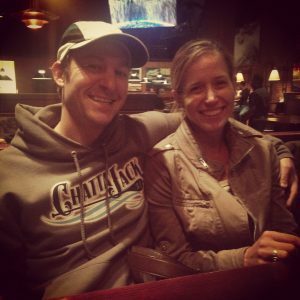 At the head of this event are Ben Friberg and his wife Kim. Both of whom are silent “bad asses” who I have been lucky to paddle with a couple of times here in California. Ben and Kim came out once for Joe Bark’s Paddle, Run Paddle. 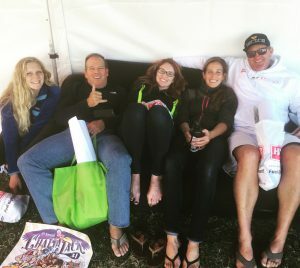 Of course, they handled the paddling part – but went out into the running part (aka The Catalina Marathon, the fourth hardest trail marathon in America) and each crushed the course in just under 5 hours. These two crazy kids have also done the Yukon Quest – a self supported 444 Mile paddle through the Alaskan wilderness as well as other crazy paddling adventures. Why a love letter to them? Because they have kept the race pure and simple. It’s a long race with lots of moving parts (you literally start in one time zone and end in another). But somehow it feels just like your neighborhood race. For lack of a better term, it’s a festival. A gathering of the paddling tribe from all over the country. It’s a VERY unique experience to paddle down the river. Certainly there can be quite a swift current pushing you —that is if they open the dam. The first time we did it, there was frost on the ground and we bundled up in wetsuits. But we had the current. Joe Bark and I were laughing thinking it would take us about 3 hours at the current speed we were going. Then it happened, we outran the current and from 15 miles onward, we watched the GPS drop from 8’s down to 4’s. Then came the headwind, then came the cold and what seemed to be a finish line that never got closer. Most years we get about a knot to knot and a half of help going down the river, it’s not much, but it certainly helps. The weather at the event can be anything from cloudy cold to hot and sunny. Last year was a warm year with tremendous gusty winds. 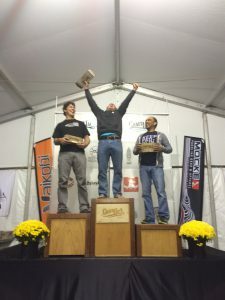 Chris Parker at SUP Racer calls it “the largest race in America”. Which is a pretty amazing feat for a race that is super long and challenging. There is no prize money at the race. I like to think that Ben and Kim started this race as an ode to the working paddler. Thus, there is no prize money and the “known” folks like Larry Cain are treated like everyone else. In their eyes, every competitor is equal. You feel it in every which way. No one is flown out or given a free ride to the event. The event feels all inclusive instead of exclusive. What’s fun is that out on the course, you always end up chatting with people. And then at the after party you see them again and say “hey great paddling with you” and share war stories about the paddle. You laugh, you smile, you revel in the accomplishment. The event caters to everyone. The thing that Ben and Kim have created is a race that is huge but yet, feels small. From the band playing Zeppelin’s Kashmir on the dock as you enter the water, to Katie Peter’s team of volunteers helping you every step of the way, they have created a paddler’s experience. And it is no surprise they have done this since most of the people involved are paddlers. The race is the most special one of the year for me. And if you have the chance to be in Chattanooga for the end of October. I would suggest getting there to see the race happen. At worst, you will walk away with a host of new friends. So here’s to you Ben and Kim. Thank you for Chattajack. For having an event that we can all participate in and that gives the tribe a place to gather.